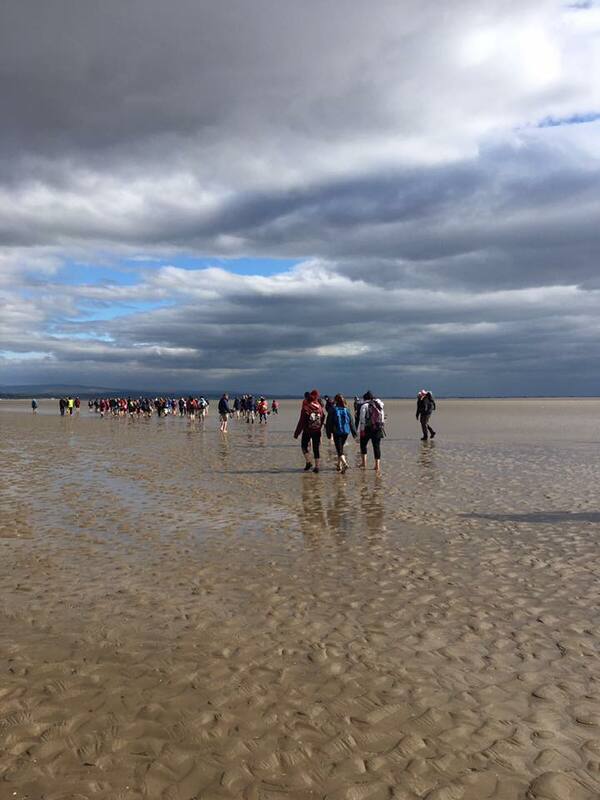 Bay Hospitals Charity are delighted to announce the return of our magnificent Cross Bay Walk 2019, which this year takes place on Sunday 14 July, 2019 at 4pm. Setting off from the Promenade, Arnside on the day and arriving at Kent’s Bank, our annual sponsored walk is just over 8 miles and takes between three to four hours to complete. Our Cross Bay Walk will this year be led by the Queen’s new official guide to the sands, Michael Wilson. The Cross Bay Walk is a fantastic way to raise money and is also a great family day out, so we would encourage as many people of all ages to join us on the day. Monies raised from this event go to providing those extras that the NHS simply cannot fund, helping us to provide additional medical equipment, improving the hospital environment and supporting our clinical teams across Morecambe Bay Hospitals, ensuring our patients get the best possible care and treatment. Places are very limited so early booking is highly advisable to avoid disappointment. See you on the sands on Sunday 14 July – we can’t wait!